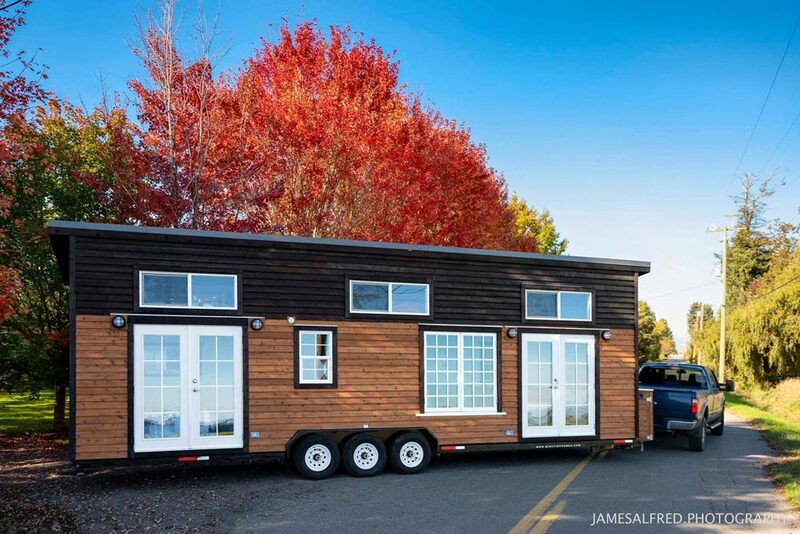 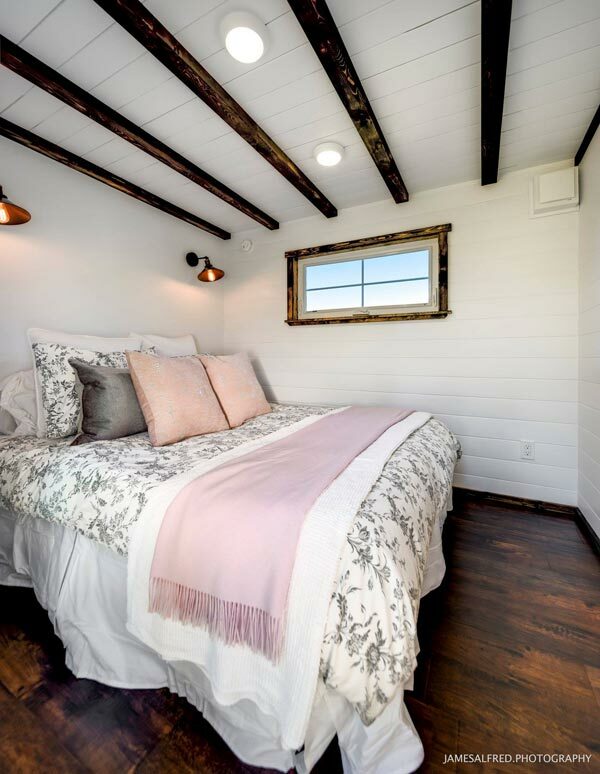 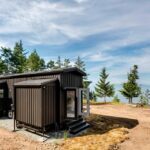 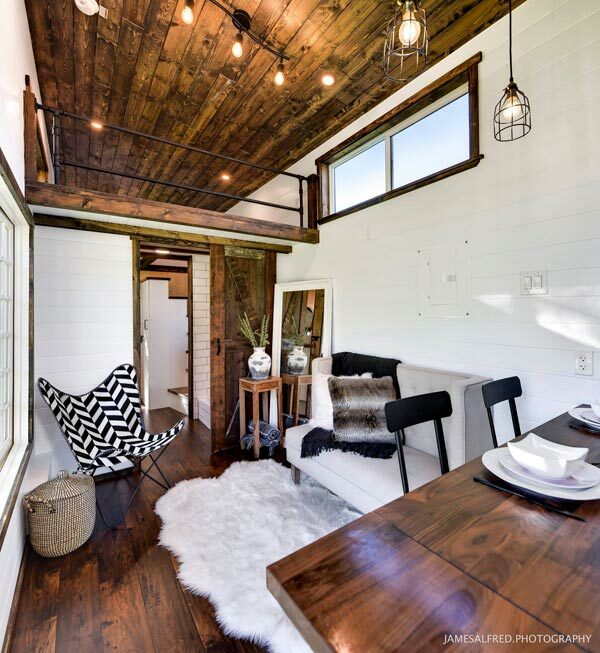 With its large casement window and two sets of full light french doors, this custom 34-foot tiny house by Mint Tiny Homes offers a bright, spacious interior with fantastic views. 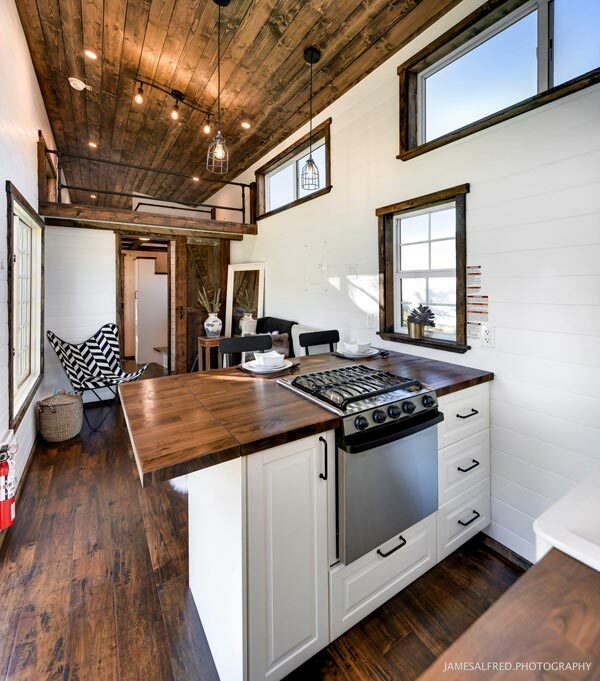 The exterior of the home combines shou sugi ban and stained cedar siding. 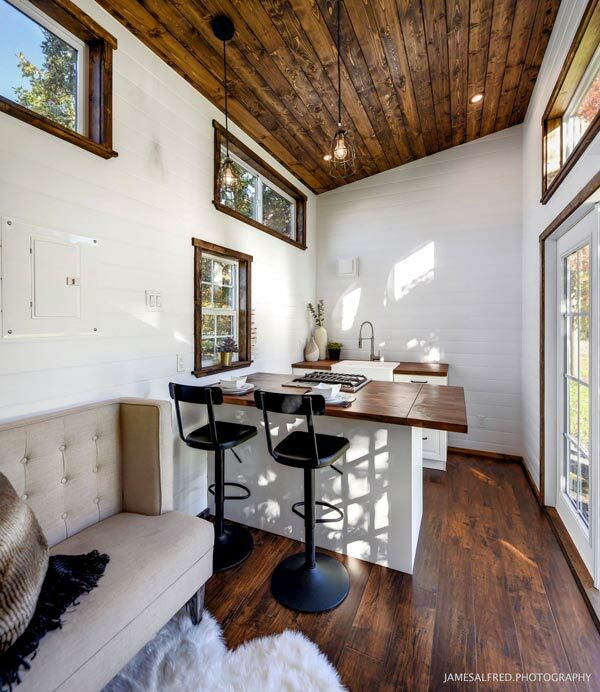 The shou sugi ban siding was used across the top of the home and as trim for the windows and doors. 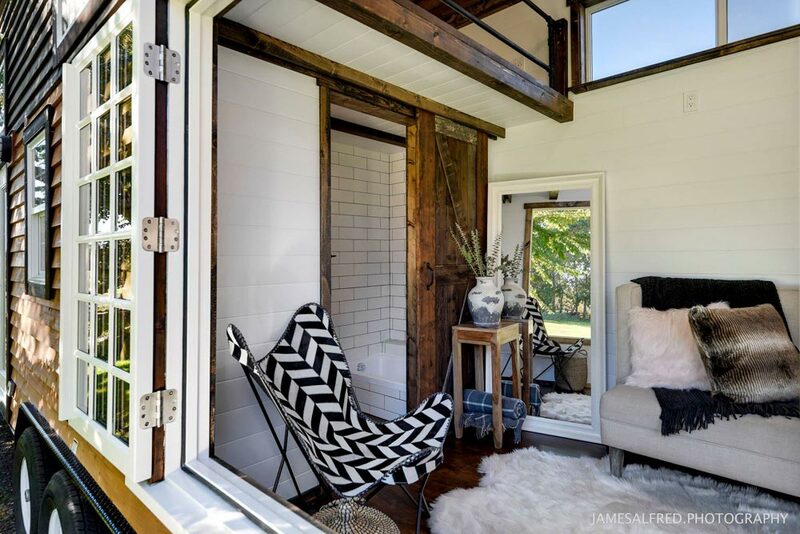 One set of french doors leads into the kitchen area. 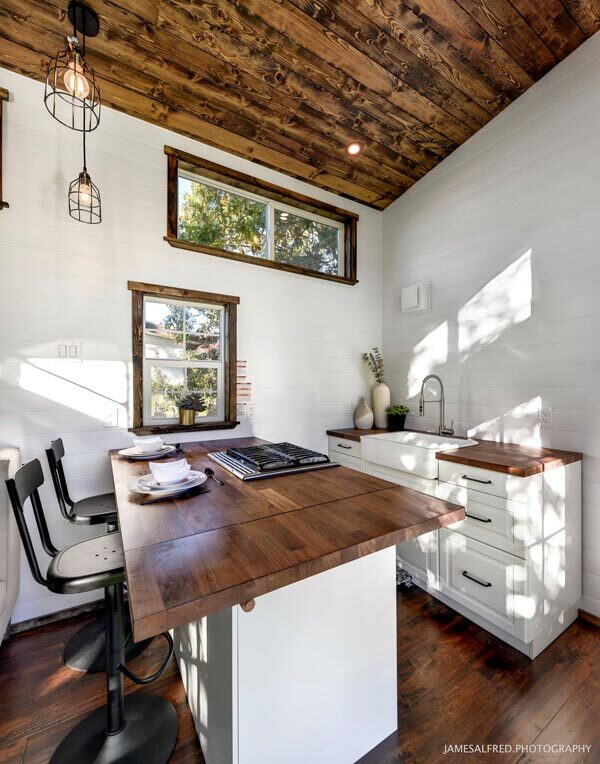 The kitchen has butcher block counters with breakfast bar and fold down extension, a farmhouse sink, and gas range. 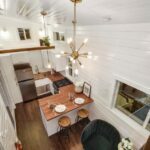 The refrigerator will go next to the sink. 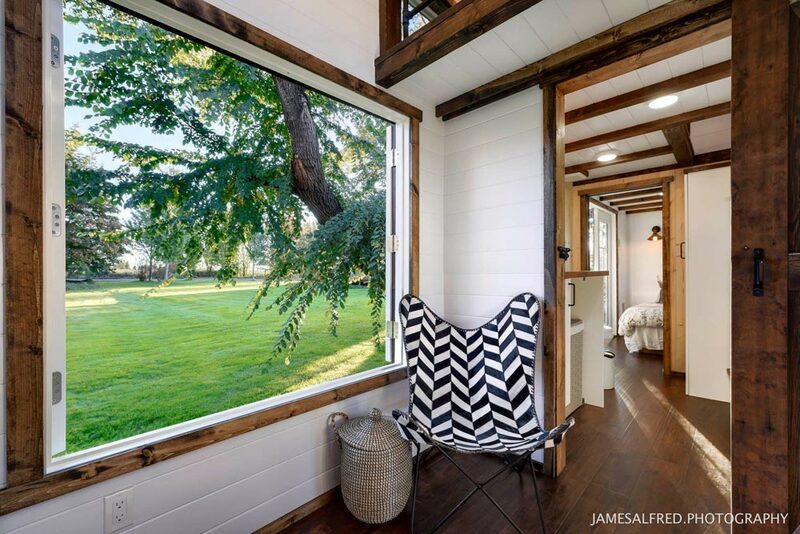 The other set of french doors leads directly into the main floor bedroom. 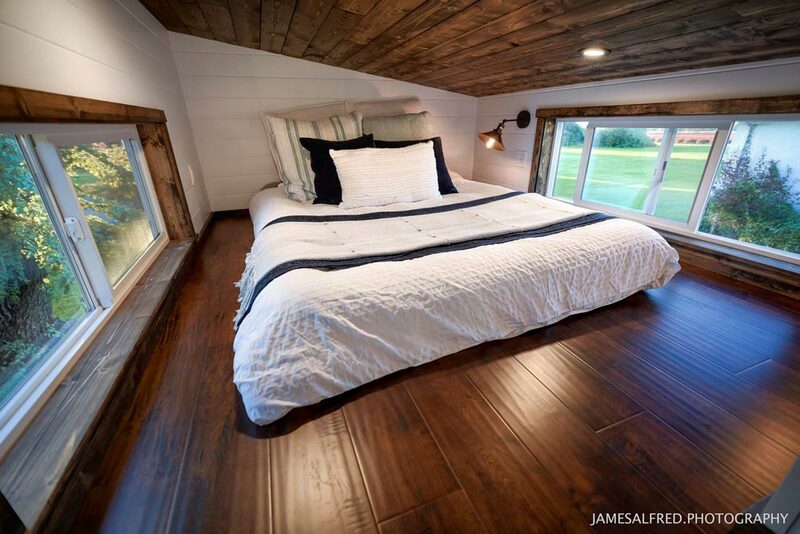 The bedroom is approximately 80″ tall from the floor to the beams. 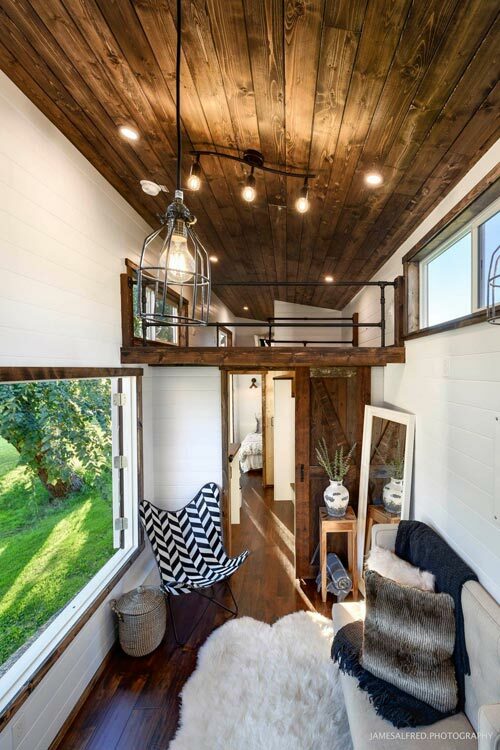 Above the bedroom is a loft that can be used as a guest bedroom, storage space, etc. 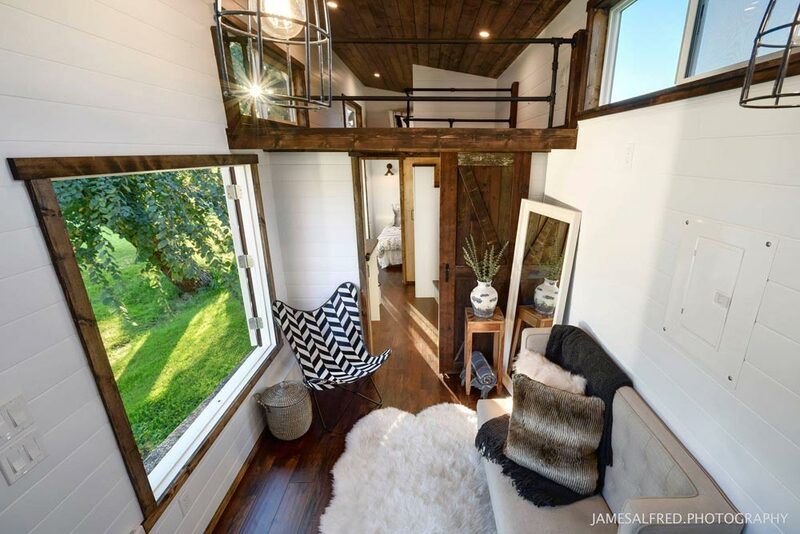 A switchback (u-shaped) staircase leads up to the loft and provides a closet space. 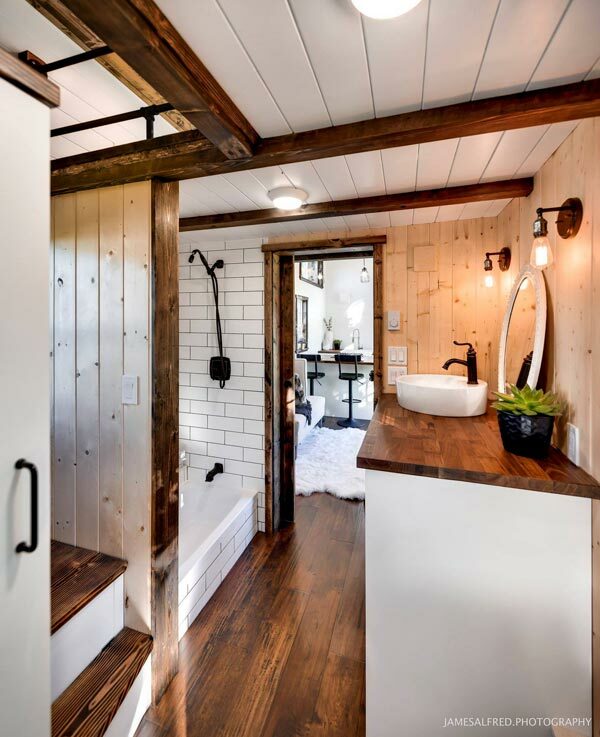 The bathroom has a 4-foot RV tub with tile surround, toilet, and vanity with vessel sink. 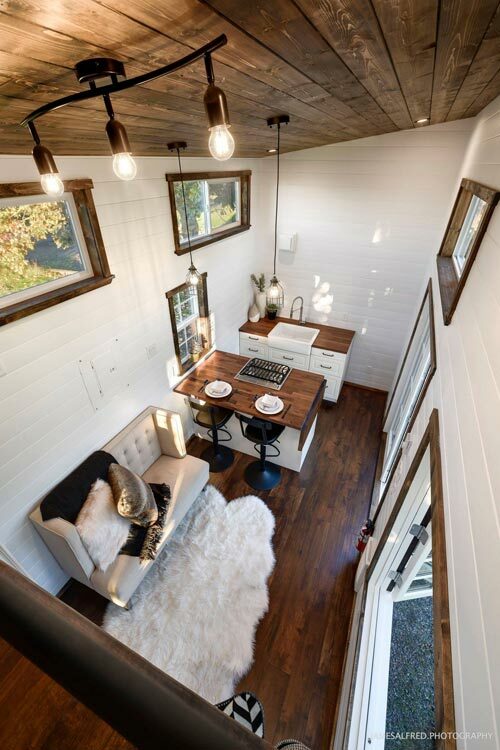 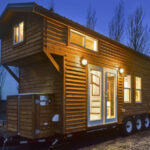 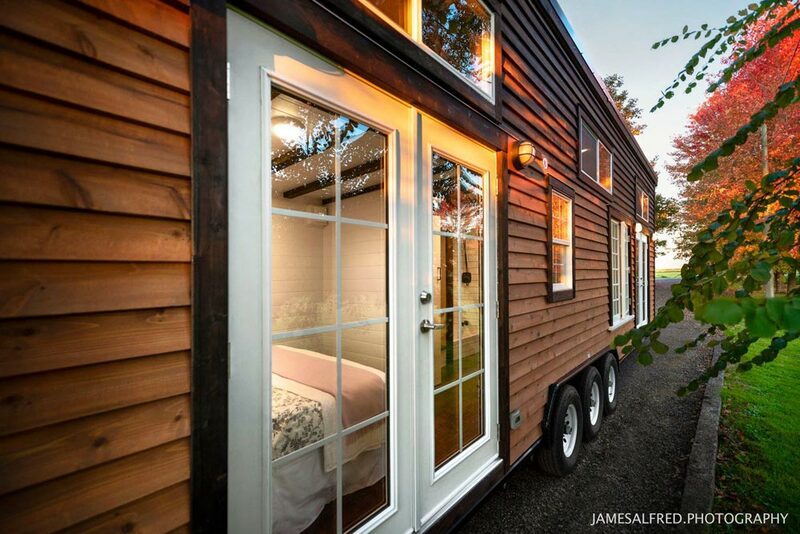 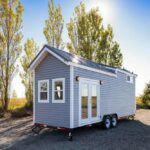 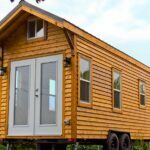 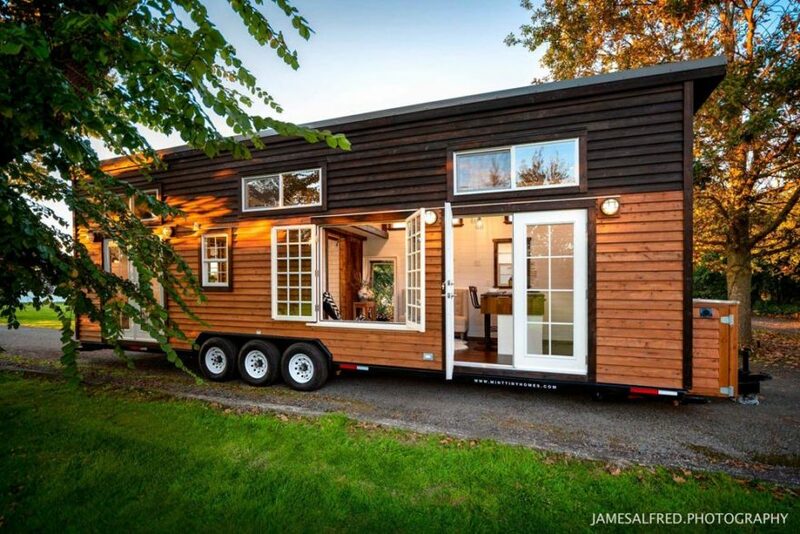 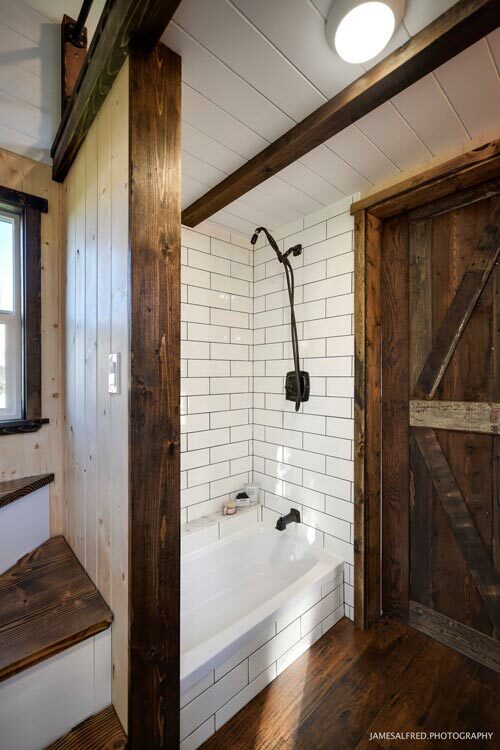 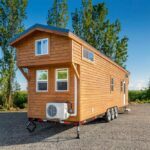 For more information about this custom tiny house, please contact Mint Tiny Homes. 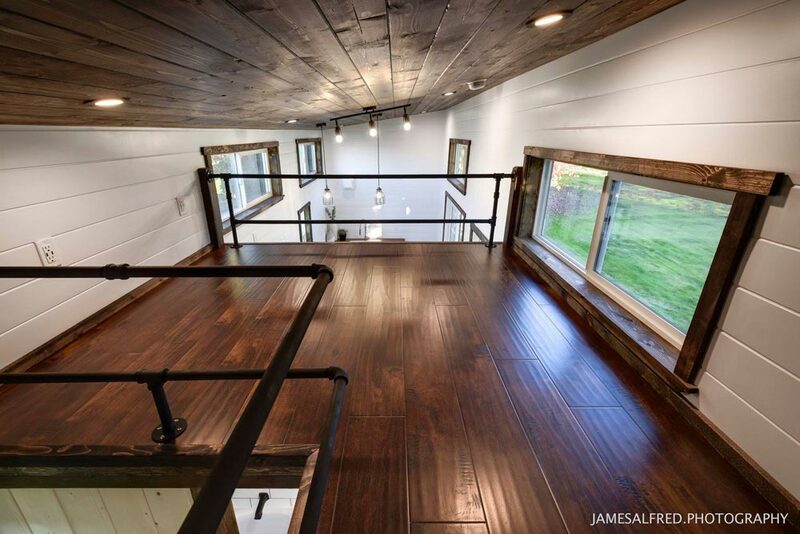 Photography Credits: James Alfred Photography.